This statistic depicts total Medicare spending from 1970 to 2017. 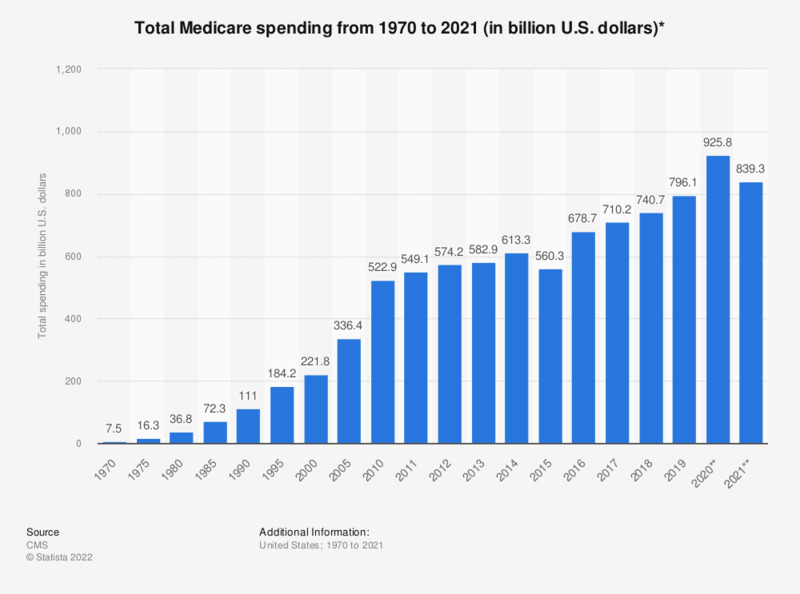 In 1970, some 7.1 billion U.S. dollars were spent on the Medicare program in the United States. Forty years later, this figure stood at some 521 billion U.S. dollars. * Data are for fiscal years.